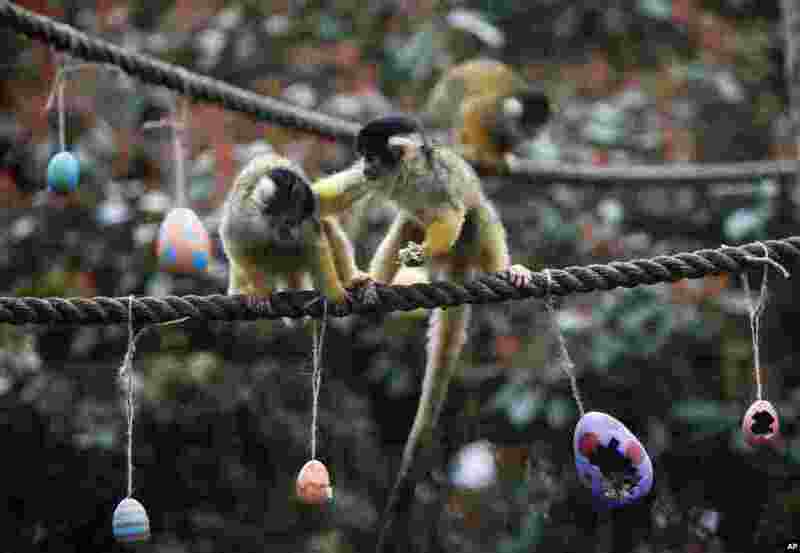 1 A squirrel monkey, right, pushes his mate away as he eats a treat of worms and seeds from a papier mache Easter eggs, at London Zoo in London. 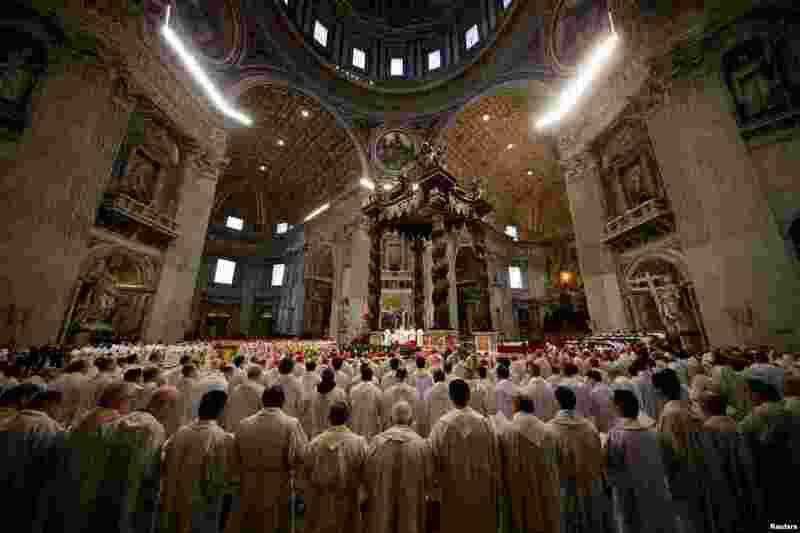 2 Pope Francis leads the Chrism Mass on Holy Thursday during which sacred oils are blessed at Saint Peter's Basilica at the Vatican. 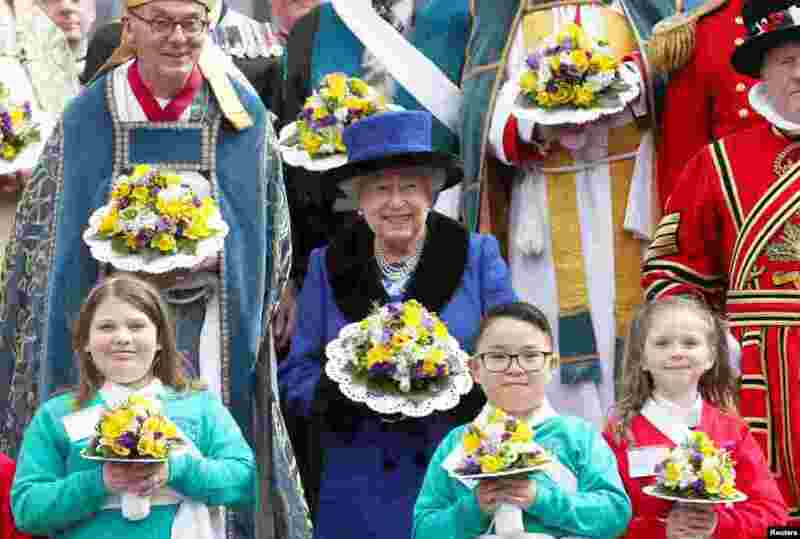 3 Britain's Queen Elizabeth holds a bouquet after attending the Royal Maundy service at St. George's Chapel in Windsor. 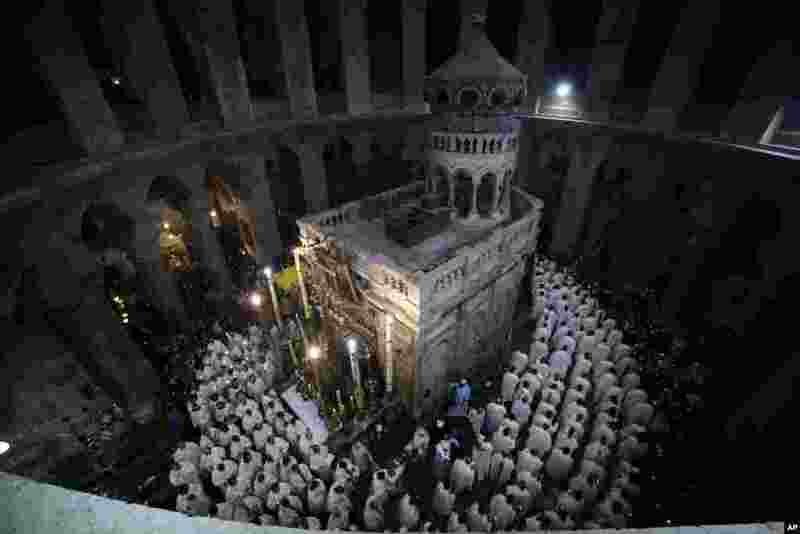 4 Catholic clergy walk during the Washing of the Feet procession at the Church of the Holy Sepulchre, traditionally believed by many Christians to be the site of the crucifixion and burial of Jesus Christ, in Jerusalem.